This past year we learned about the human body. Human anatomy & physiology is one of my favorite science topics to teach, and learn about (I guess that’s why I was a nurse in my former life). There are so many great resources on the internet for complementing your human body studies, many of them being FREE! 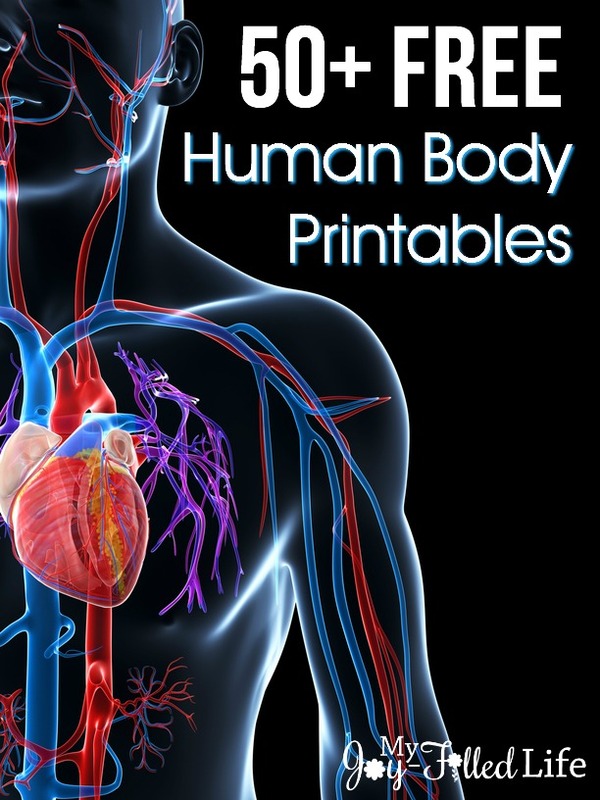 Here are some of the top human body printables I have rounded up over the past few years, and all of them are FREE! Earth Science. It’s the easiest for me to understand. Physics seems to be the most hands on and engaging for us. I loved teaching astronomy (elementary) through Apologia. I’m just starting our homeschooling. I haven’t “officially” taught a science subject yet. My fella has shown much interest in certain topics so we have looked through science books and the internet to learn more. So far, it’s been ant colonies, volcanoes, tornadoes, the solar system, and magnetism. This will be my first year homeschooling – excited about that microscope for my middle schoolers! I enjoy the complexity of Biology and Anatomy. I love seeing the wonderful way God created each of us. However, in a teaching role, I would prefer to teach physical science since it is a little more on my level. I love teaching about the human body!!! I’m pretty new to this, but I think Nature Studies–plants, animals, etc. Well, I am venturing on to teach biology thisnyear. So, I am going to say it is about to be biology! The’s things look so very helpful! My favorite science subject to teach is…Science! Microbiology, Immunology, Genetics, Quantum physics, d=rt, botany and why my garden does not grow :), animals-how we are similar and different, Ecology, Geology, Astronomy….too much science and not enough day! My daughter loves Chemistry! All aspects , she enjoys hands-on approach with lots of experiments. Anatomy and Phisiology, and Earth Science, oh…and Physics. Astronomy is my favorite, and my daughter enjoys it too. Win win. I’m not sure I have a favorite subject to teach yet. What sinks/floats is always fun because the kids get so into it and water play is always a hit. My kids LOVE animals so Biology I think is our favorite science. I love teaching weather! And also biology. I just really enjoy Science and enjoying teaching all areas of Science. I have tremendously enjoyed every book in the Apologia Exploring Creation series. My son just finished the Exploring Creation with Chemistry and Physics. That was probably his favorite. Right now, nature study and it’s not teach so much as it is, let’s discover together. But for high school? I can’t WAIT to revisit chemistry. I loved chemistry! Anything to do with animals. My daughter wants to be a vet. My Daughters love Biology and Anatomy. We love geology! My daughter firmly believes every rock is a treasure ? I haven’t taught any sciences yet (this is our first homeschooling year), so I’ll have to see! Not sure which I is the favorite, but I love doing experiments with them and watching the excitement and wonder of it all! My 9 year old loves all thing science – can’t get enough! We love to do science experiments and activities. I like teaching Human Anatomy and Chemistry. I think my favorite was botony because I learned the most. But, really love all the sciences. Hmm..favorite science would probably be anything nature related. This would be fantastic for my sons. I am new to homeschooling but my son loves science. I think I will enjoy teaching on solar systems this year because my son is excited about it. Just getting started with homeschooling, so I’m not sure!! It is hard to pick a favorite as each child loves different things. The wow factor of chemistry is grand! That may be my top pick. Biology and botany are close behind though as we are big into plants and animals. We enjoy it all. My children LOVE all types of science, so that makes them all fun! But anything with science experiments has to be the most fun! I like teaching Earth Science. I love learning anatomy and physiology. My favorite science to teach is whatever my kids are interested in at the time! I always found Biology very interesting. Biology. 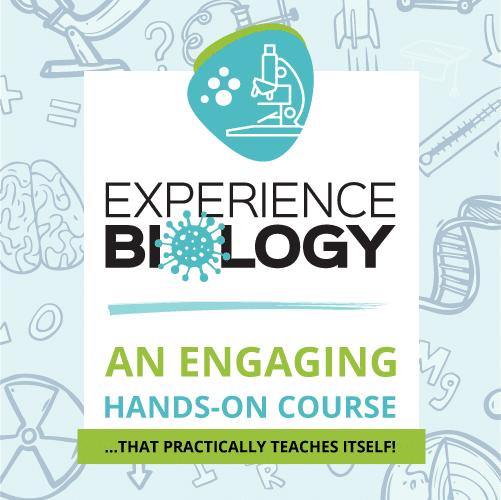 I studied Biology when when I was in college—fascinating! And not just human anatomy and physiology, but living organisms of all kinds. I love to teach anatomy. Especially when we have man life size bodies! The kids love it too. My daughter likes science and art and how learning more about science helps her create better art. I love teaching physical science. My kids enjoy biology especially learning about animals. We just live science. I have a lot of fun doing the hands on or lab work type stuff, even if the mess makes me crazy. MY favorite to teach is science but my daughters favorite is reading. We love everything weather here! I don’t really have a favorite, but I’ve been enjoying teaching anatomy. I love to teach chemistry to all different age groups! Thank you for the giveaway! Weather and space! Thank you so much for the giveaway! I love geology and astronomy! I like to teach about plants and insects. I’ve done a lot about astronomy and ocean animals [animals in general, as well], but I’m really looking forward to botany and birds, simply because we haven’t done much along those lines yet. I enjoy Biology best. But all science is interesting to me. I love teaching Earth Science! I love Elementary Natural Sciences, in awe of God’s design!! And I love to pass on the joy of discovering more about God through studying His creation! I like teaching it all! I love teaching about the human body. We see the beauty of Gods order and how all of our organs, cells, etc are weaved together. I love to teach anatomy! We love experiments and learning about plant and animal life. I love to teach Astronomy! We are finishing botany this month and starting human anatomy in september. I think I will like anatomy best. Thanks for the chance to win! My kids are still young, so we’ve just been studying animals so far, so I guess you just call that life science? I have no favorite… Love it all. Botany to animal sciences. I am entering because of the love of all science my nephew is into. It is his favorite and although he is only 9, his knowledge on many science issues are remarkable. He is into weather, animals, you name it, he loves it. Probably Zoology. Although Anatomy is a fun one too! Any science that involves hands on experiments ,cooking and nature . I love human biology/anatomy. The body is AMAZING!!!! I majored in biology because I love it. I love teaching chemistry, too. Basically, you can’t go wrong teaching the sciences. Our favourite would be the human body! We love Human Anatomy and Zoology. Excited about this giveaway. That’s a beautiful microscope! I think basic biology is my favorite right now as it’s the easiest for me to grasp. Science is one area I will definitely be learning along side my kids! I enjoy teaching marine science. We’re doing Astronomy this year, and it’s our first official topic. We love to do biology. I can’t wait to do it with my daughter and son. What a great prize. Currently we are studying astronomy and we are really enjoying it. We also enjoy studying the science of nature in our hikes. I enjoy teaching physical science the most, but my kids prefer biology and chemistry, so this would definitely come in handy! I love to teach herpetology, specifically snakes! I love them! I love chemistry–the kids get such a kick out of our experiments! My granddaughter loves chemistry and anything to do with nature. My favorite science topic to teach is creation science. I love to teach history – I always learn something new! I have enjoyed teaching botany. Whatever my kids are into at the moment. When I find something that they find interesting we go all in. I find anything and everything to explore as deep into the subject as they want to go. The more interested they are the more fun it is to teach. The impromptu questions are the best, out of no where, why, how, and my answer is always, lets find out. I pull out books, go to the library, go on a hike, videos, anything I can find to keep the interest. Isn’t that part of the joy of homeschooling?! I like biology since that was my major. I like to teach biology, earth science, anything nature. Earth Science because it is fun and you can take field trips outside! My favorite science to teach is biology but my daughter is far more into chemistry. This will be my first year homeschooling (besides the preschool years). I’m looking forward to doing human anatomy! My 3 kids would love this prize! They all can’t wait until we start teaching Human Anatomy and Physiology. Thanks for this opportunity to win something we wouldn’t be able to afford otherwise. I can’t say Science is my favorite subject. Probably studying the human body is what interests me the most. 🙂 Fearfully and wonderfully made! I’ve taught many science subjects the 22 years I’ve been homeschooling but the one I like the most is earth and space science. I love to learn about the earth and all of the planet’s and stars that surround us. I love to teach history, trips to the East Coast are so full of history from this wonderful country. 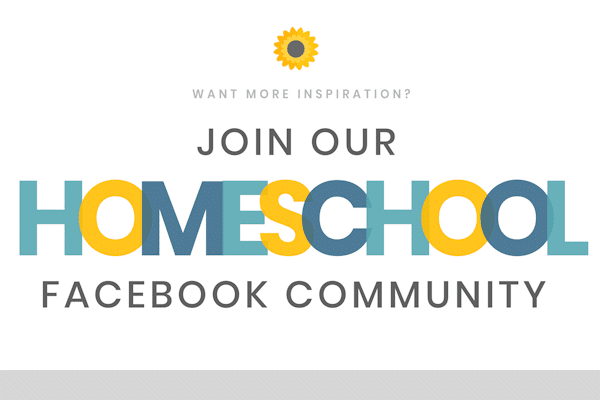 This is our first year homeschooling. I am looking forward to Earth Science and human anatomy! I am enjoying teaching zoology! If I am being completely honest here, Science is not my favorite subject; but if I have to choose one that stands out for me, it is any of the studies on marine biology or nature. Some of the fascinating creatures God created are amazing! I like teaching Earth Science. It is the most interesting to me and the most fun to teach. I personally love astronomy but my kids really love anything with an ick factor. I’ve always liked Biology and Life Sciences! Haven’t done so well with science in the past, but I am looking forward to astronomy. We studied Astronomy last year and just loved it. Astronomy- It is one of the many hobbies that my husband has. We love having the convenience of our own observatory in the backyard. We enjoy using the telescope with the kids and we get to include the whole family as well. Bonus!! I love all science topics but I think Astronomy is my favorite. Health science. I really didn’t like science while I was in school but am learning to love it now. We have the most fun with Geology & add a bunch of Road Trips to see “the real thing” ~ Thank you for the Give-Away! I think my favorite would be the animals and fauna world. My favorite changes as my children age, but I love biology and creation the most! My favorite topic to teach is Zoology. Thanks for the giveaway. I like chemistry because I like math. Any and all! We are a house of learners, always something fun to learn. My little has recently begun a love for all things science so we are diving in. This page is going to be so helpful with that endeavor. Thank you! How did I miss this giveaway until now? My 3 boys love science most during our school week. Each though, have a preferred focus. One likes all things geology, one physics, and one is taking a high school level anatomy and physiology at co-op this year even though he’s only 6th grade. This giveaway is perfection. I think my favorite science to teach is geology!!! We all have enjoyed learning zoology together. This will be are first year, but I believe zoology will become our fast favorite. We have only been homeschooling for one year, so we haven’t had that much science; but the boys really enjoyed some time we spend learning about the human body.